Young generations full of bright and innovative ideas are vital to the long-term success and sustainability of any industry. Apprenticeships are an excellent way to encourage them, allowing them to learn a wide range of skills in many different environments pertaining to their interests and career choices. These apprenticeships offer not only training but also improved job prospects; there are many benefits of investing in apprenticeship positions within companies, and here at Airedale Springs we strive for innovation and excellence by helping to shape young people’s learning experience. According to Cebr, apprenticeships are predicted to contribute £3.4bn by 2022; between the years of 2012-2013 and 2021-2022, 3.8 million people will complete an apprenticeship and increase productivity gains. Businesses are increasing profits, bettering products, lowering prices, and increasing wages as the average apprentice who completes the course will improve overall company productivity by £214 per week. In addition to contributing to the economy with a boost of money, apprenticeships are essential to provide an extremely qualified work force. 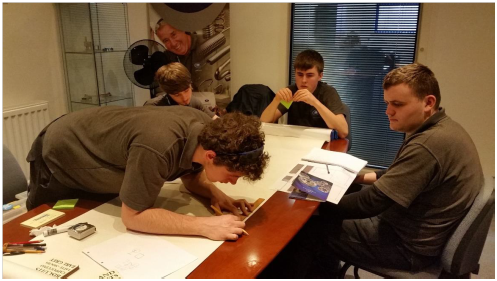 By involving young people in a company environment and providing hands-on learning from experienced engineers, apprentices will gain skills and experience that will help them succeed in their chosen career path. Work placement within the company might follow, ensuring that the next generation of talented engineers has all the required knowledge for the industry. By accepting young people in apprenticeships your company will increase in appeal for students or prospective students in engineering, allowing you to also shape their learning experience. By developing apprenticeships in the competitive engineering career, companies like us can help ensure that the UK can compete on a global scale in sectors like Aerospace, Security, and Defence. Being competitive in innovation and technological development will assure that companies will grow and expand, feeding back into the economy and creating even more apprenticeship positions. Apprentices will benefit from having direct contact with certified engineers with decades of experience, employing them with all the necessary skills for a successful career. Many apprenticeships are followed by work placements, as companies take in the talented young generation they helped teach. 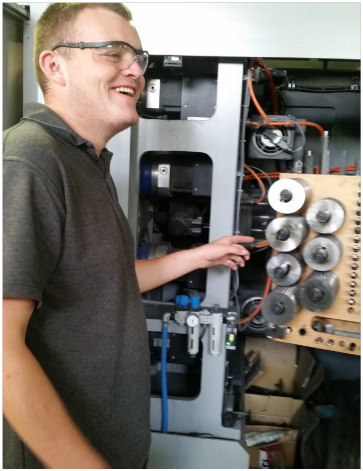 Airedale Springs apprentices hard at work with a machine layout exercise. Here at Airedale Springs, investing in young talent is one of our priorities. 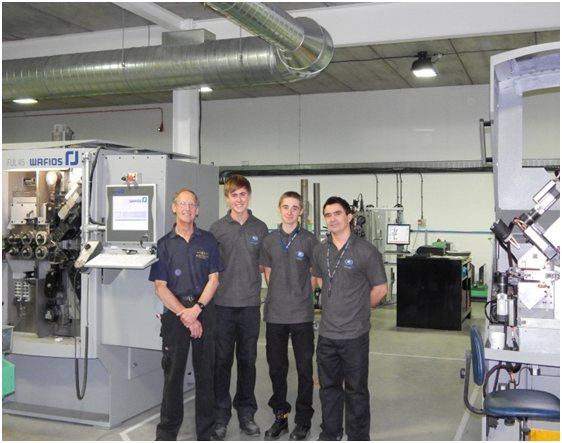 More recently we have welcomed Max Greathead from Haworth and Alfie Moses from Oakworth as CNC machine setter apprentices. They were both completing a NVQL2 in Manufacturing Process Operations that includes spring making. Our outstanding employee Brian Russell provided the induction and basic spring manufacturing training, coming out of retirement to teach skills he acquired over his many years of experience. Max and Alfie’s basic training programme for the NVQL2 was just a part of our investment in talented young people, and in our very own future new setters. Perfection and excellence are fundamental for our company, and we invest in all areas of our business including customer service, our products and services and, of course, new engineering talent through apprenticeships. For more information about what we do, you can contact us on 01535 643456 to speak with our highly-skilled team, who are always happy to answer any query you might have. Follow us on Facebook, Twitter, and Google+ to keep up to date with our news.